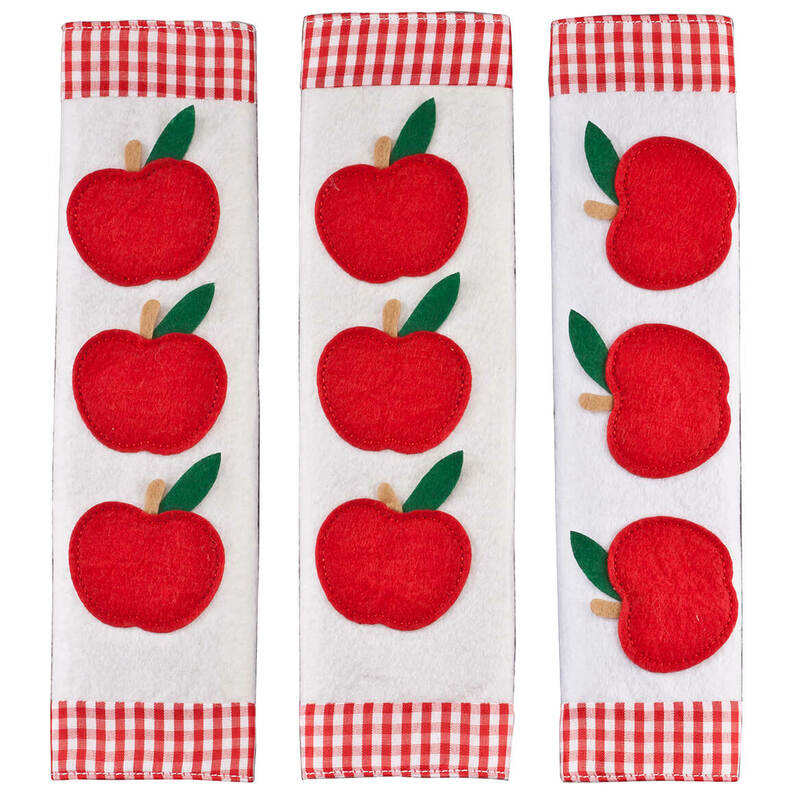 Boasting bright red apples and gingham check trim, these pretty felt apple appliance handle covers add homespun charm to your kitchen—and bonus: they shield appliance handles from sticky fingers and everyday wear. Easily wrapping around to secure in seconds, full hook-and-loop closures provide a snug, custom fit for fridge and oven handles. Polyester; hand wash. Set of 3 appliance and refrigerator handle covers. Each, 11 1/2″ long x 7 1/2″ wide.